Marketing promotion campaigns that make a direct connection with end users are innovative in many ways. They capture the imagination of the target consumer in their “sweet spot” and are interactive instead of passive, drawing the potential customer into the marketing process. But more importantly, campaigns like those just initiated by Nokia go “viral” within the community, creating much deeper and broader reach in the target market. 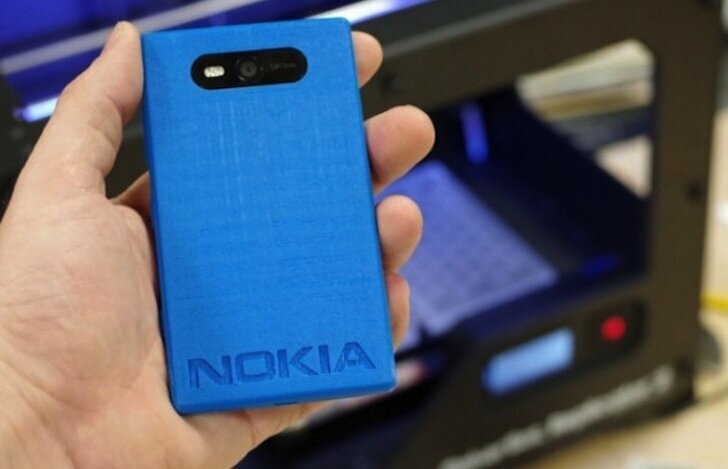 Finnish phone giant Nokia just announced a promotion that features 3D Printing in their stand [booth to the Americans] at the Mobile World Congress in Barcelona starting February 25. It’s always a challenge to get attention at trade shows and exhibitions, and what better attention getter than two MakerBot Replicator 2 Desktop 3D printers? Many people have still only seen video on line, and will jump at the opportunity to see a real 3D printer in action. But Nokia has gone a step farther. Rather than just limit the promotion to those lucky enough to be in Barcelona, Nokia is using the 3D Printers to create the world’s first live social 3D printing experience. 3D printing fans at home can participate virtually via Twitter. Anyone who tweets @Nokia_Connects using the hashtag #Lumia820 is entered for a chance to win a personalized phone case that just happens to come wrapped round its very own Nokia Lumia 820!!. They encourage fun, entertaining, witty Tweets, so not what you had for lunch unless it’s 3D Printed! Since there will be multiple winners per day, they encourage multiple tweets! That’s a brilliant strategy that gets customers involved in promoting products. Nokia’s MakerBot promotion in Barcelona is a perfect example of how best to use social media. I like to say, “Twitter is not a billboard” and “Social media, is just that, SOCIAL!” Nokia clearly “gets” it and is using social media at its most powerful, by engaging customers. For full terms and conditions, check the rules page. In a recent interview with Nokia Developer Ambassador Randall Arnold I got a glimpse of how Nokia is also looking to work with the hacker and maker communities for 3DPrint-a-Thons. Since there is some time lag for those who don’t have their own 3D Printers, designs would be submitted in advance and through a partnership with Shapeways, the designs would be printed and delivered to the event location. Randy is particularly excited about bridging the Developer and Maker groups with projects like this. Details will be forthcoming, and I can’t wait to see what other elements Nokia adds to this to expand promotion with 21st century innovation. Of course, it all started with the landmark promotion where Nokia made design files available for the Lumia 820 through the Nokia3DP project. I am not sure they anticipated the level of media coverage, but the trade and general press jumped on the fact that a mainstream multi-national was embracing 3D Printing. Of course the bloggers and trade media promoted the story, and in social media 3D Printing fans drove Nokia3DP to a trending keyword. For more details you can read my previous interview with Randall Arnold giving background on the project here. Nokia is definitely getting it right. They are creating cool, innovative marketing campaigns that engage customers and 3D printing fans. Heck, I didn’t even realize Nokia still made phones until Tweets about the design files started showing up. But I do now, and next I’m going to create some clever tweets for the Barcelona contest!